Eye-catching, Insta-worthy choker designed to complement red outfits – or contrast with black - and help you stand out from the crowd. 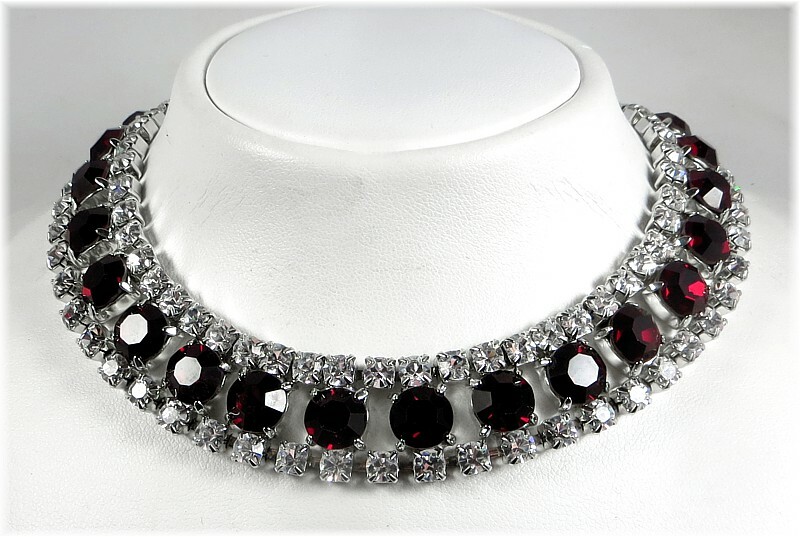 Perfect when you want to play a dramatic Scarlet Woman card at a party, prom or dinner date, this sensual choker is hand-made using two rows of shimmering 5mm crystal clear Swarovski crystals, which border twenty-one 10mm ruby red Swarovski crystals. Looks sensational worn with plunging necklines or off-the shoulder outfits. Length: 24cm (9½”) clawset clear and ruby Swarovski crystal choker, with an additional 15cm (6”) extension chain, which allows a comfortable fit around the neck.